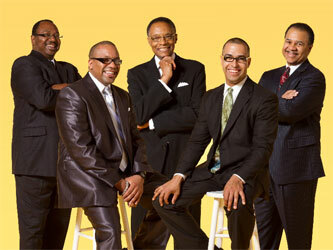 NEA Jazz Master Ramsey Lewis Comes to The Hamilton for Two Nights! The Hamilton for Two Nights! Legendary Jazz pianist, composer, and producer Ramsey Lewis makes his Hamilton Live debut later this month! The three-time Grammy-winner has always held a soft spot in his heart for our nation’s capital; Lewis recorded and released his 1965 breakout live album The In Crowd at Bohemian Caverns right here in Washington. In 2007, he returned to accept the prestigious Jazz Masters Award from The National Endowment for the Arts, and the following year Ramsey donated a number of personal photos, awards, and memorabilia to the Smithsonian’s National Museum of American History. At 82-years-old, and with a discography of over 80 albums, Ramsey Lewis is truly a Jazz giant, and one of the last of his generation of artists still touring today. For two nights, on Friday, August 25 and Saturday, August 26, The Ramsey Lewis Quintet will take The Hamilton Live’s stage for what could very well be his last ever performances here in DC. Tickets are available now!